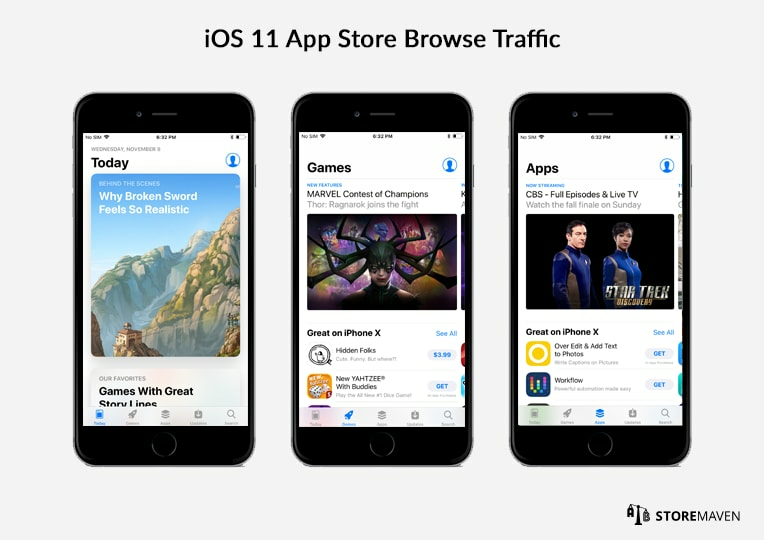 Browse traffic includes all visitors that viewed your app while browsing through any of the following iOS 11 App Store navigation tabs: Today, Apps, and Games. As opposed to search traffic visitors, these users are not coming with a specific need they are looking to meet. Instead, they are looking to get inspired and discover new, cool apps to download. There are two possible browsing journeys that can lead users to your app. Featured placements include: Banner Featured Placements and List Featured Placements. 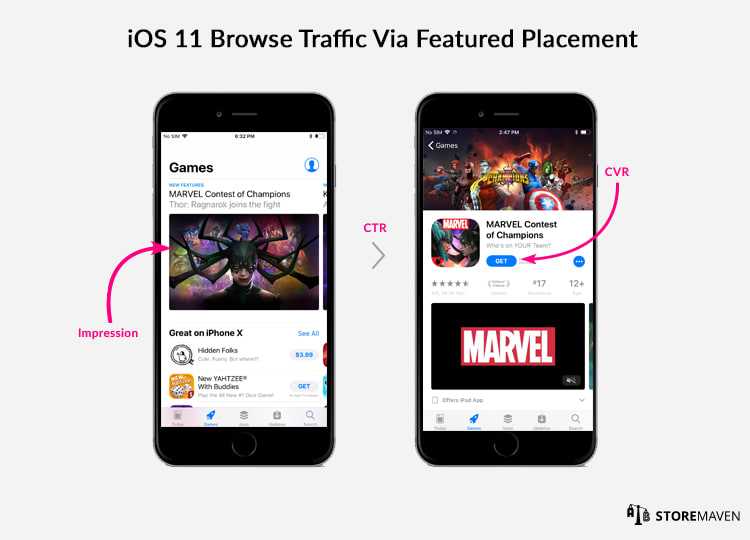 While browsing through the Today, Games, or Apps pages, a user can see (aka impression) a featured app in any of the featured placements and either download (aka CVR) directly from the featured placement or click through (aka CTR) to the Product Page to download the app (aka CVR) there. Notice how users can also see (impression) an app in a List Featured Placement and download (CVR) directly from there instead of clicking through (CTR) to the Product Page to download (CVR) there. “Top Paid,” “Top Free,” and “Top Categories,” which were located under the “Top Charts” and “Categories” tabs in iOS 10, are now located below the fold on both the Games and Apps pages. If a user clicks the “See All” to the right of any of those respective list names, they will be directed to the new “Top Charts” page. 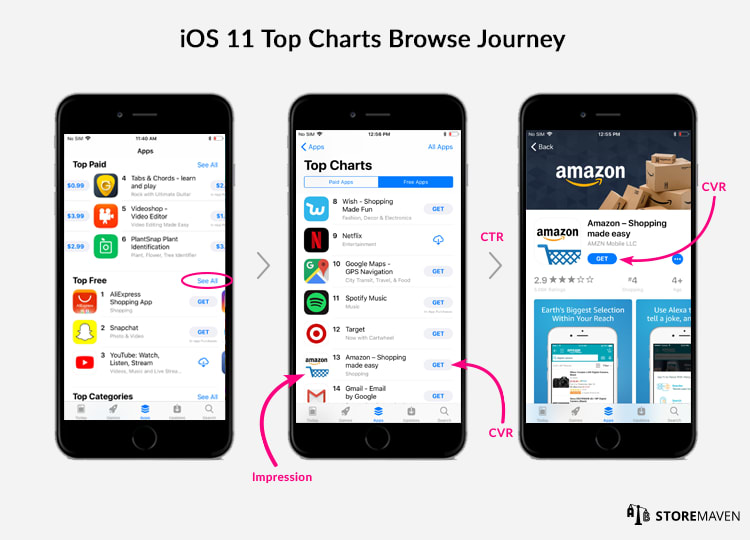 Hence, the second browse journey that can leads users to your app is via “Top Charts.” There are a number of paths users can take within this browse journey. A user can see (aka impression) an app under the “Top Paid,” “Top Free,” or “Top Categories” lists on either the Games or Apps pages and install (aka CVR) directly from that page by tapping the “Get” button or click through (aka CTR) to the Product Page and download the app there (aka CVR). As depicted above, a user can also click “See All” next to either the “Top Paid,” “Top Free,” or “Top Categories” lists on either the Games or Apps pages, which will direct the user to the “Top Charts” Page. The user can then see (aka impression) an app and install (aka CVR) directly from the Top Charts page by tapping the “Get” button or they can click through (aka CTR) to the Product Page and install (aka CVR) there. In order to analyze your browse traffic, you have to understand the significance behind three important metrics that we have alluded to above. 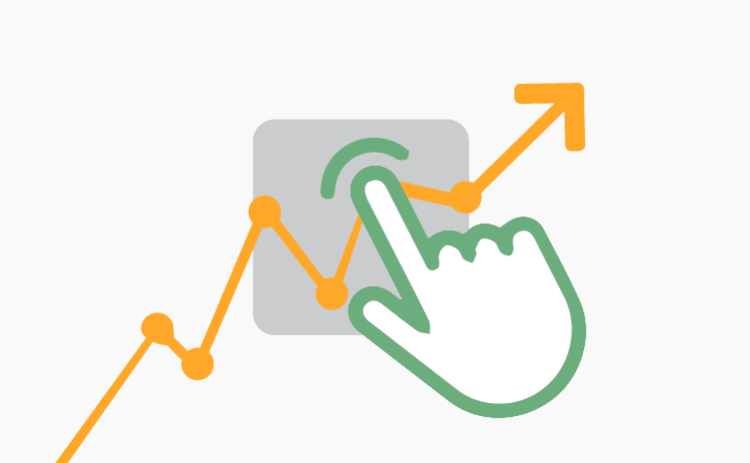 These metrics include impressions, click-through rate (CTR), and conversion rate (CVR). You will also need to know how to collect respective data for analysis. 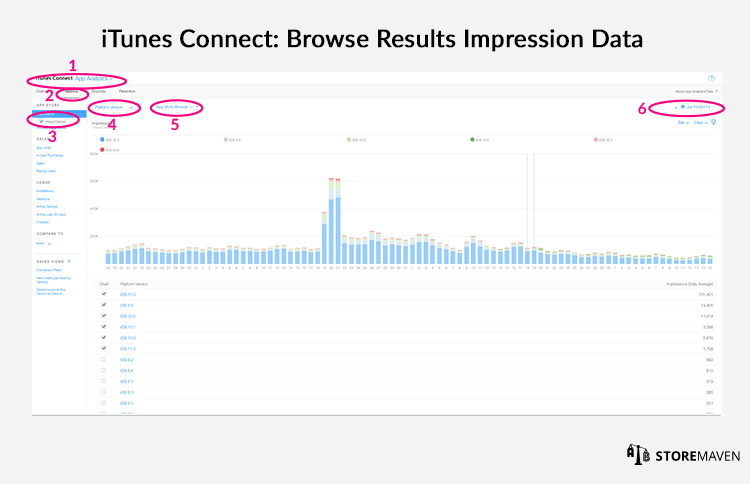 An impression, within the context of browse traffic analysis, is an indicator of your brand’s presence within the App Store. There are two factors that affect your impression rate within browse and include being featured in any of the browse pages and ranking high within Top Charts listings. Well, if iOS 11 doesn’t change browse traffic then boy did Phil Schiller play his cards wrong! 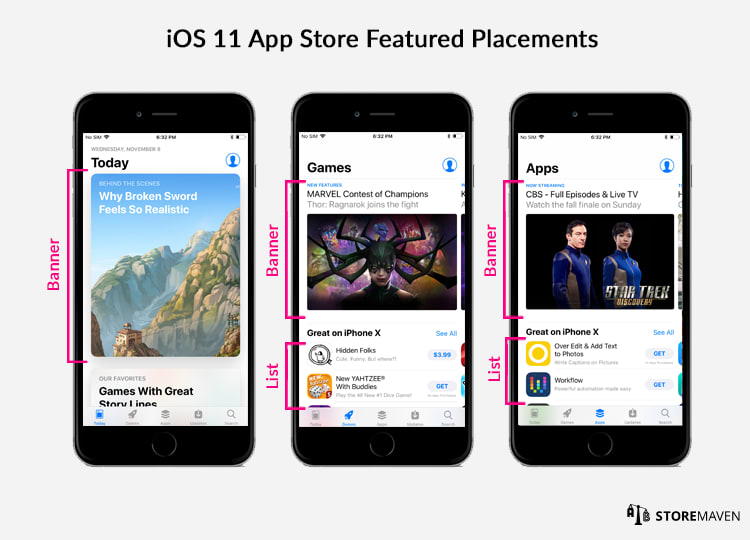 If you’ve been following our latest resources (this, this, this, and this), you know by now that iOS 11 is all about improving app discovery. No offense Apple—we still love you!!! But yes, good luck finding the best apps out there through search, unless of course you’re searching for a specific brand that you already know! Since fixing the app search engine is a highly complex and long-term process (that is underway), Apple sought to provide a more immediate solution in the interim by redefining the browse discovery journey. These changes ultimately sway away from algorithm-based app listings / featuring toward human-curated lists and editorial content of apps Apple wants to push. For a comprehensive guide that details all changes made to the iOS 11 App Store, read this! If you fancy webinars over reading materials, you’ll want to also check this out. The first step in analyzing your App Store analytics is to look at the trend of your total browse traffic (all bars in the graph). Then identify the time period when you first received iOS 11 user traffic. 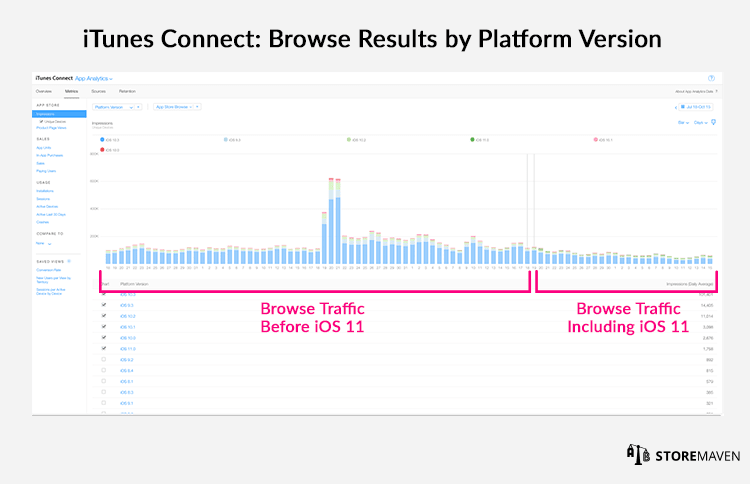 Compare browse traffic before iOS 11 to browse traffic including iOS11. In the example provided above, we can see a descending trend since iOS 11 was released. The click-through rate (CTR), within the context of browse traffic analysis, is the ratio of users who click on your app in the Today, Apps, or Games pages to the number of total users who view your app in theses tabs. Since users have to jump through more hoops in order to find an app through Top Charts, users who do so are considered highly-motivated and more likely to click through to the Product Page and even convert. 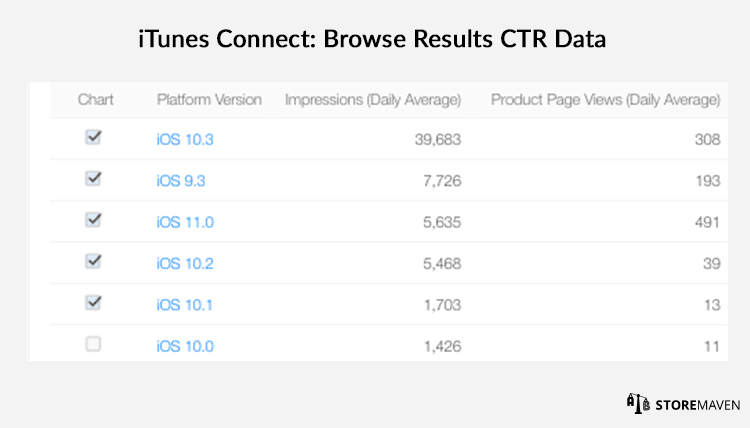 In the example above, we can see that iOS 11 caused a major increase in the CTR, which is directly related to the fact that while browse volume decreased, user intent has increased. Conversion rate, within the context of browse traffic analysis, is the total number of users that downloaded your app either from Top Charts/Featured Placements or from the Product Page itself. First off, and as previously mentioned, users have to go through more steps in order to find your app through Top Charts, making those visitors highly-motivated and easier to convert. Second, significant changes have been made to the Product Page that all have the potential to impact CVR. 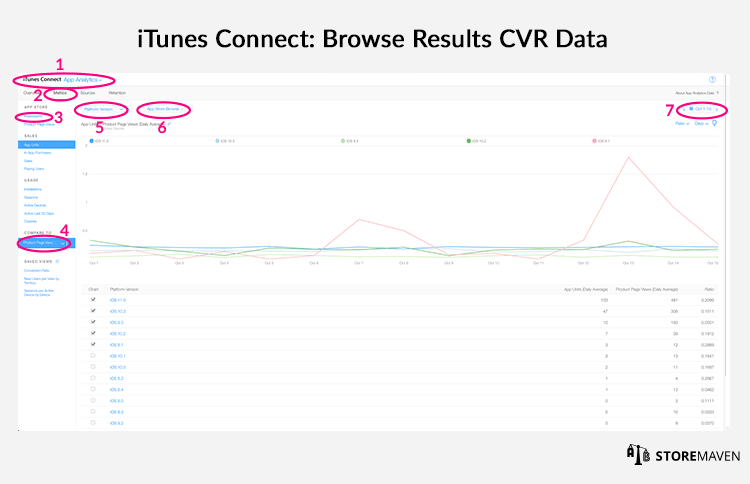 There are three important action items you can incorporate into your App Store marketing strategy to help increase your impressions, CTR, and/or CVR—irrespective of whether you actually saw an increase in any of those metrics following the iOS 11 debut. Getting featured is obviously the holy grail for every app publisher, as it inherently boosts your app’s reach across the App Store and, in turn, increases your impressions, CTR, and CVR. So how can you get featured? Hate to break it to you but there isn’t a clear-cut formula for getting featured on the iOS 11 App Store. That is, Apple does not offer paid placement opportunities or checklists of requirements for getting featured. What they do offer is a brief list of factors editors take into consideration, such as: user interface design, user experience, innovation, localizations, accessibility, use of App Store Product Page, and uniqueness. Moritz Daan and Gabe Kwakyi co-authored a comprehensive eBook on App Store Optimization, which devotes an entire chapter to increasing your app’s visibility through getting featured. They delve deep into factors that increase your chances of getting featured and how to pitch your app or game to editorial teams. Strong Positioning: That is, sticking to a unique and coherent statement about who you are and what you offer. Storytelling: The new Today tab in the iOS 11 App Store resembles an app news hub more than an app store. Hence, being able to tell a story in your pitch and even offer top notch content (e.g., videos, visually appealing how-to-play guides, etcetera), could increase your chances of getting featured. Nurturing relationships: Having good relationships with dev relations managers is more important than ever before. They stress that you should treat Apple representatives as your most valuable business partners. For more information on how you can improve your chances of getting featured, you can download their eBook here. 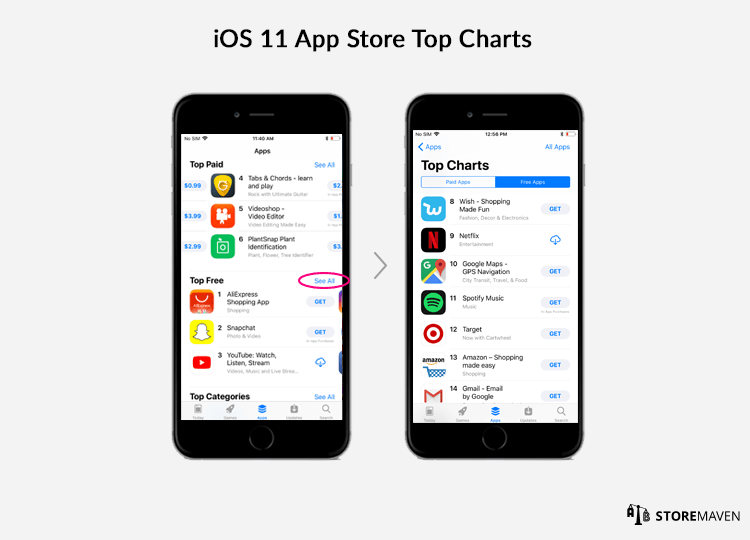 Increasing your app ranking on iOS 11, can increase your impressions, CTR, and CVR. Increase engagement and retention by engaging in conversations with your customers, soliciting feedback, and listening to what they have to say. Use App Store Optimization tactics (optimizing keywords and creative app store marketing assets). Improve and increase your ratings and reviews by proactively reaching out and leading your customers to action. For more information on how to increase your app ranking you can also read this and this. 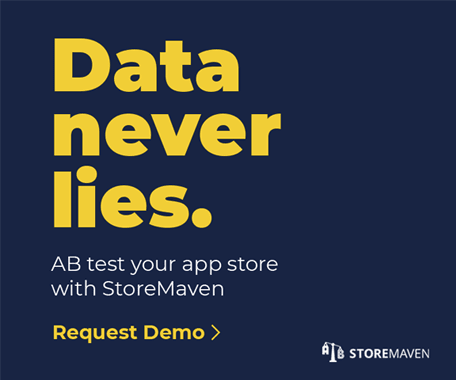 The only way to truly understand the impact iOS 11 has on your CVR and pivot your App Store Optimization (ASO) strategy accordingly, is by using our A/B testing platform. That means you will be able to understand the exact implications of the iOS 11 changes made to your iOS 11 Product Page (i.e., App Ranking, Editors’ Notes, What’s New, and video autoplay). You will also be able to understand how to best optimize your marketing assets to increase your CVR. The only difference in optimizing your CVR for browse traffic versus search traffic is the traffic you drive to our platform. For search traffic, search ads best mimic search traffic. For browse traffic, Facebook and Instagram best mimic browse traffic. 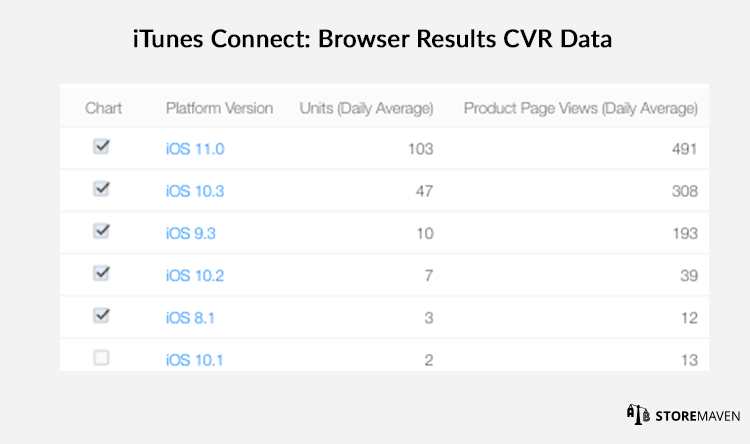 Here are 3 initial tests you can start with on iOS 11 to create winning App Store Product Page variations that can lift your CVR by 66%! Here are also 9 tips to help you get started! Want more proof our platform works? Read this! 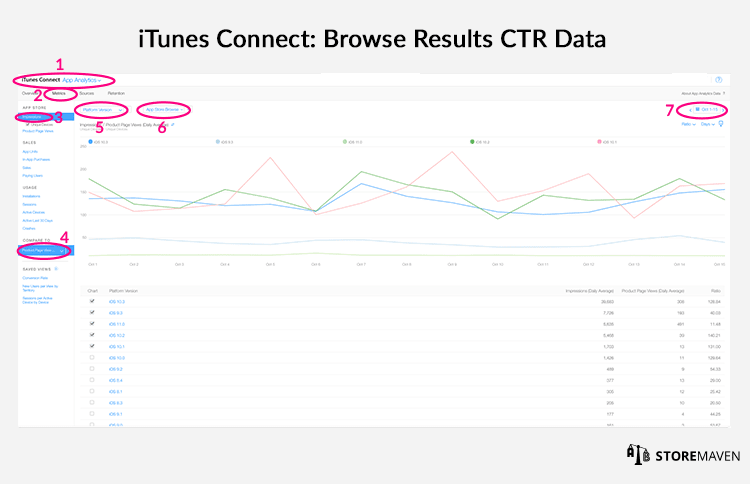 Now that you know exactly how to use iTunes Connect to collect and analyze your search and browse traffic data, it is time to do the same with your referral traffic. Be sure to bookmark this page now as Part 3 of this serial post is expected to be published in the coming weeks.